Attractions like Surfers Paradise Beach and Sea World Theme Park make great kid-friendly stops. Head to Pacific Fair Shopping Centre and 19 Karen Contemporary Artspacefor plenty of shopping. Get out of town with these interesting Gold Coast side-trips: Byron Bay (Cape Byron Lighthouse & Byron Bay Cookies Retail Store) and Tweed Regional Gallery & Margaret Olley Art Centre (in Murwillumbah). 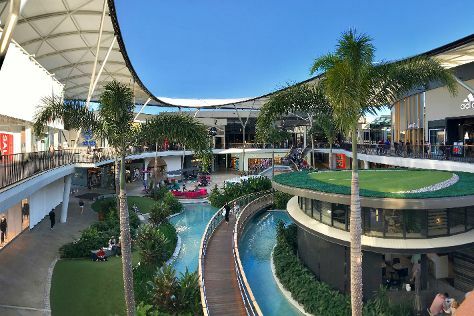 There's still lots to do: find something for the whole family at Warner Bros. Movie World, browse the different shops at Robina Town Shopping Centre, kick back and relax at Burleigh Heads Beach, and explore the galleries of Anthea Polson Art. To find where to stay, ratings, traveler tips, and tourist information, you can read our Gold Coast trip planner . If you are flying in from Malaysia, the closest major airports are Brisbane International Airport and Gold Coast Airport. In August in Gold Coast, expect temperatures between 25°C during the day and 11°C at night. Finish up your sightseeing early on the 29th (Thu) so you can travel back home.